This is a no-nonsense, feel good about yourself book dedicated to inspiring you to become who you were born to be. It is to be used as a quick reminder of the talents you possess. Who are you anyway? What makes you stand out? What are the unique blend of talents and experiences that only you can offer? 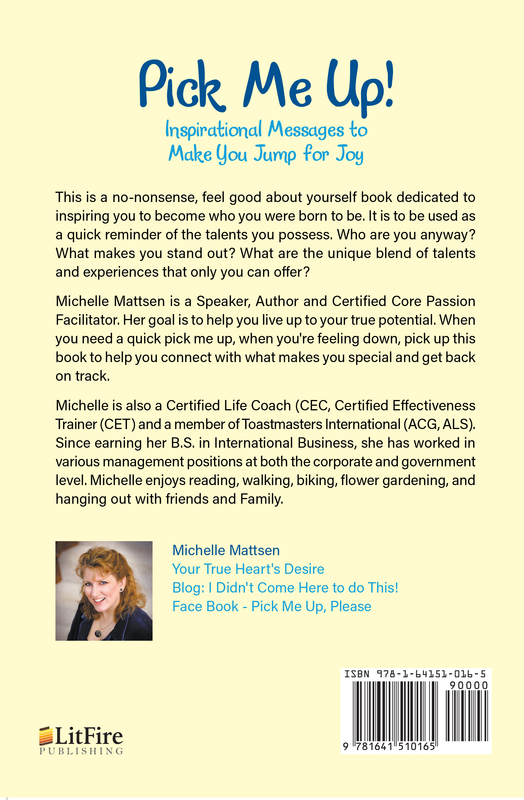 Michelle Mattsen is a Speaker, Author and Certified Core Passion Facilitator. Her goal is to help you live up to your true potential. 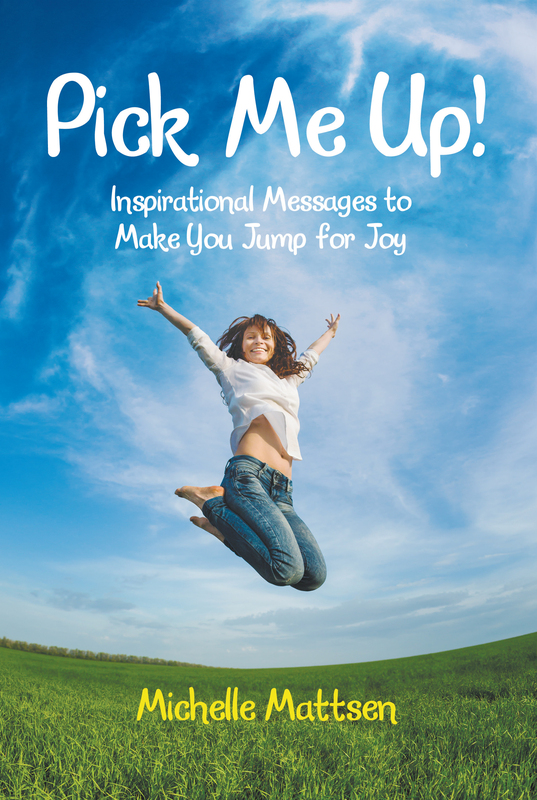 When you need a quick pick me up, when you’re feeling down, pick up this book to help you connect with what makes you special and get back on track. Michelle is also a Certified Life Coach (CEC, Certified Effectiveness Trainer (CET) and a member of Toastmasters International (ACG, ALS). Since earning her B.S. in International Business, she has worked in various management positions at both the corporate and government level. Michelle enjoys reading, walking, biking, flower gardening, and hanging out with friends and Family. Blog: I Didn’t Come Here to do This!